Extracting juices manually or grinding spices every day is a tiresome task. 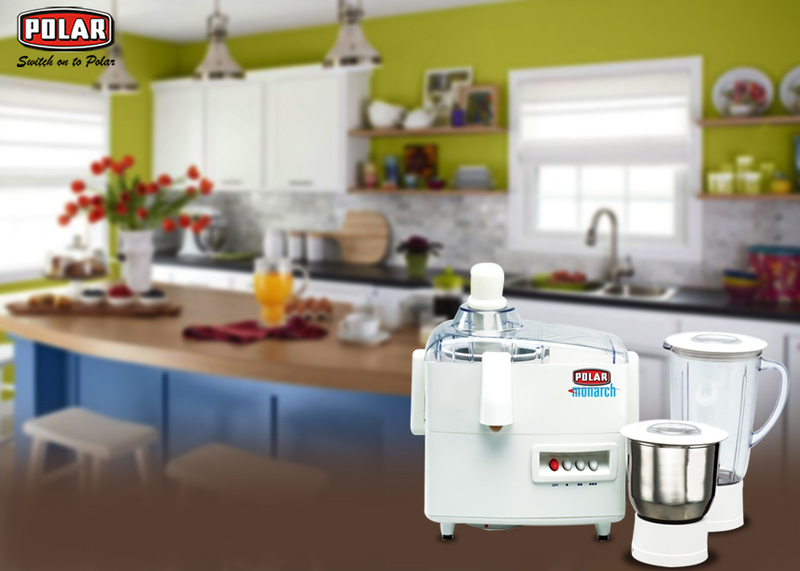 Polar has come to the rescue and now you can buy juicer mixer grinder online. Cooking is considered as a passion or an art of preparing and representing food. Whatever may be the case, with all the grating, grinding, chopping, and dicing that go into the dish you are cooking, a knife or a mortar and pestle can no longer be enough. If you want to meal to taste good and to look good in a shorter time span then you must have a juicer mixer grinder to make the things simpler and faster. You can explore and choose to buy juicer mixer grinder online from Polar and make everyday cooking a fun.